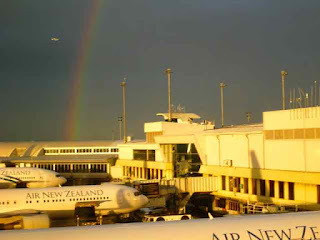 Greetings from Auckland, North Island of New Zealand! I'm sitting in the airport at Auckland at the moment. I'll be leaving for Tonga in the morning, heading for 'Eua, the oldest, most ancient island of the Tonga group. It is part of the birthing grounds for the whales of the southern hemisphere and I'm being called to go there to commune with the land and with the whales. Tonga is a kingdom, one of the only places in the South Pacific that was not colonized by a foreign country. It is one of three places on Earth where people are still allowed to swim with the whales. I'll be there for two weeks from the new moon (Aug. 6/7) until the full moon (Aug. 21/22) when I'll be returning home to the South Island of New Zealand once again. I could actually feel the energetic connections I had with many of you while I was in the different locations in South America - particularly strongly while I was on Easter Island and Isle de Amantani in Lake Titicaca. I drew a picture at one point of myself connected energetically to each of you from each place as I moved around - energy pulsing back and forth from my heart to each of yours and from yours to mine. It is my understanding that this is how we are adding our human love and energy to the gridwork of the Earth's energy, contributing our highest and best to the evolution of the planet. Some of you are planted in one location, some of you move around as I do. All of you are connected to many other people as well. All together we are gifting and feeding love and light energy into the Earth, just as we are simultaneously receiving her many gifts. This is helping to repair, rebuild and strengthen the gridwork of loving, light-filled, compassionate energy that once completely covered and connected the entire Earth. 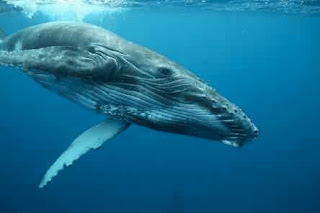 So once again, I invite you to tune in to me while I'm in Tonga communing with that ancient land and with the whales, sharing my experience energetically, receiving the gift of wisdom that flows to and through me from them and sending them your loving energy through me - as well as directly from yourself. There is incredible power when we join our consciousnesses together, intentionally visualizing how we want things to be, planting seeds for the New Earth. I feel incredible gratitude to be connected to each one of you! Biologists say that Whale is a mammal, and very possibly lived on land millions of years ago. In tribal legend, Whale's move into the ocean happened when the Earth shifted and Lemuria, the Motherland went below the waves. All our petroglyphs speak of the Motherland, Mu, and the disaster that brought the red race to North America from the West beyond the great waters. The symbols in the petroglyphs speak of rivers and mountains crossed by our ancestors when they sought solid ground as the water receded. Whale saw the events that led to the settling of Turtle Island (North America) and has kept the the records and knowledge of the Motherland alive. It is said that Mu will rise again when the fire comes from the sky and lands in another ocean on Mother Earth. The Native medicine people are waiting for this event as the next sign of Earth changes. Earth's children will have to unite and honor all ways and all races in order to survive. Whale medicine people are coded in their DNA to understand that sound frequencies can bring up records in the memories of ancient knowledge. They are usually clairaudient, or able to hear both very low and very high frequencies. They are usually also psychically developed and fairly telepathic. Many times, however they are not awakened to their gifts until it is time to use the stored records. Many Whale medicine people are able to tap into the universal mind of Great Spirit, and have no idea how or why they know what they know. Only later, when they receive confirmation, do they begin to understand how they know or why they received the impressions. Whale medicine teaches us to use the sounds and frequencies that balance our emotional bodies and heal our physical forms. To recall why the shaman's drum brings healing and peace is to align with Whale's message. The drum is the universal heartbeat and aligns all beings heart to heart. Before the advent of speech and the primordial language, hand signs were used, and many tribes were silent most of the time. The language that was understood was the sounds of Great Spirit's other creatures, the animals. If you pulled the Whale card you are being asked to tap into these records and to allow yourself to be sung to by those who have the original language. We are the only creatures who do not have our own unique cry or call. Find yours. Allow your voice to use this sound to release tension or emotion. Whale signals a time of finding your origins, of seeing your overall destiny as coded in your DNA, and of finding the sounds that release those records. You may never be the same again. After all you are the melody of the Universe, and the harmony is the song of the other creatures. In using your voice to open your memory, you are expressing your uniqueness and your personal sound. As you open to this uniqueness, the animals that are your nine totems may then send their sounds or calls to you or through you. This will open your personal records so that you may further explore your soul's history and commune with Whale, who carries the history of us all. It may be that you are having to deal with a lot of chatter in your head and cannot get to your personal records. If so, you may need to use other sounds to enter the silence. The drum or rattle, the Indian flute, or the sounds of nature may help. the call of Whale is the lullaby of the tides. Rock yourself gently and float into the world of the sea. Flow with the waters of time and collect your answers - they are the only truth that will lead to your personal pathway of knowing. Contrary Whale is saying that you must desire to know. You must seek the Whale song within you. In hearing Whale's call you will connect to the Ancients on a cellular level, and then as you relax into the flow of the song's rhythm you will begin to open your unique library of records. It may not come all at once. It may take practice, but if you hold the desire to know close to your heart, it will be Whale's gift to you. Look to the Great Star Nation and send gratitude to Sirius for the song of Whale.